You have traversed the four doors after climbing the mountainous stairs that preceded them. You scanned the clearing at the top for the entrance to the Temple of Sodexo where, even still, you met another flight, and another flight, of stairs which you bested with matchless vigor. To the top you ascended only to face the revered, Buffet Guardian. One challenge, she beckoned you, to prove your worth by presenting your greatest treasure: The One Card. With a few mighty strokes, you hath bequeathed your card to the sentinel, only to see it slid through a cryptic device and returned to your possession. “Enjoy the food”, she muttered, and you went forth in glory. This is where your story picks up. You are standing between several food outlets a,nd each one is serving a different entrée. You hunger. The pizza, soft and cheesy, is calling out for your consumption. This insults you. You are ma ighty food warrior, not a peasant who indulges in squishy pizza cakes. Disgusted, you turn your head to the right to see a salad bar. You laugh aloud. Walking forward, you notice a mass of philistines dancing around a grill fire. Their champion is twirling spatulas, presenting a select member with a meat patty every few rotations. You want nothing to do with these pagans when suddenly you glimpse the final food outlet. Heavenly light streams down to the brow of the kind smiling back at you. You smirk irreverently. The hunger is burning in your food sack. You run forward to conquer this new territory. “Step up and grab a plate,” the golem says to you, “What bread do you want?” This direct interaction that the golem is auspiciously inviting you to take part in catches you off guard. Cheesy Italian herb, everything white sub, cornmeal dusted Kaiser, oat wheat sub, onion knot roll–the sign the golem is pointing to reads of choices, plentiful choices! You select the Kaiser. Ode to the mother country. “Great, now which meat do you want?” Astonished, you can hardly believe his interrogative: “Which.” You are so used to stuffing your food sack with game from the hunt that you have forgotten that other meat exists. Now that you have access to this meat, you choose roast beef. Cheese is the next decision left for your judgment. You favor the provolone. As you analyze the dressing, the golem addresses you, “Try the spicy mustard; it’s the bomb”. Ah, what honor would it bring to your house to consume an incendiary! You nod decisively. Lastly, the golem requests you choose which salad toppings to taint the meat. Looking him in the eye, you laugh and take your plunder. While sitting at the holy tables of food consumption, you tear into your new prize with your teeth. You can feel the hunger dissipating from your food sack. This treasure is satisfying every food need you have ever had. You look to the setting sun with the face of content. 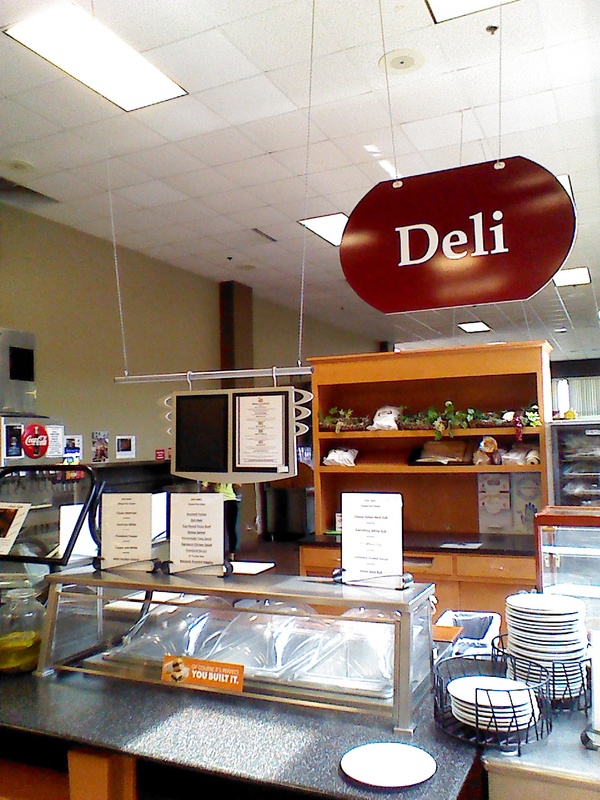 You have conquered the Sandwich Bar in the Temple of Sodexo. Glorious.